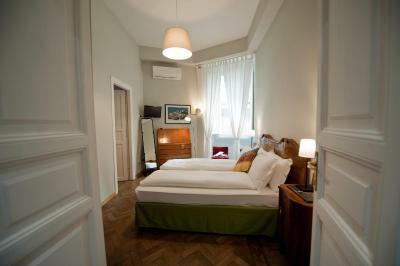 Lock in a great price for Cassiodoro19 – rated 9.2 by recent guests! Everything. Location iis just 4 blocks away from the vatucan in a safe a very nice neighborhood. Great room very clean comfortable beds. Hosts excellent. The location is in a quiet area with easy access to shop and restaurants. 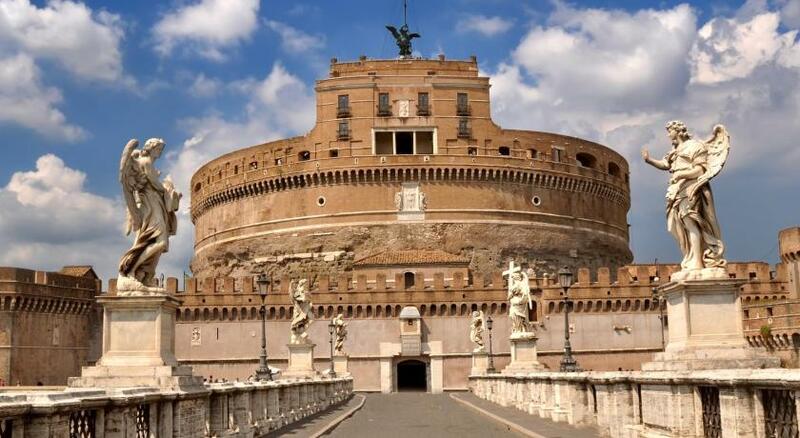 It's easy to walk to the Vatican and great access to public transportation to the rest of the city. The staff is very friendly and helpful and provides great advice on getting around the city and good places to eat. 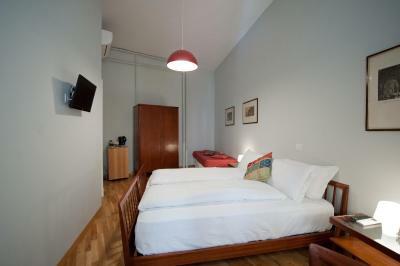 The room was spacious and comfortable with very nice amenities. We were in Rome for 3 days before a planned cruise. we wanted a central location, close to the Vatican. We found all that and more. We also learned that the area is more residential and quieter than other parts of town, which was a bonus for us. Juan and Stefano were great and very helpful. We will definitely stay again in a heartbeat. The check in was easy and Juan (sp?) was very nice. The room was lovely!! It was much bigger than I expected it would be. The air conditioning worked well. The bathroom was modern. They supplied a bottle of water and teas/coffee in our room as well as shampoo and soap. I would definitely recommend this place to anyone! Be aware - they add another 10 euro charge if you check in after 19:00 (it is stated in their information). It was close to St. Peter's which made it easy to visit early in the morning. Free Wifi. The staff is friendly and takes the time to give you some info and recommend some places to eat or a tour route based on the time you have. Check out was super easy we were leaving very early but we had no problem. 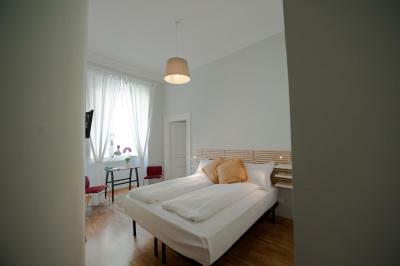 The rooms are well furnished, bed was comfortable. 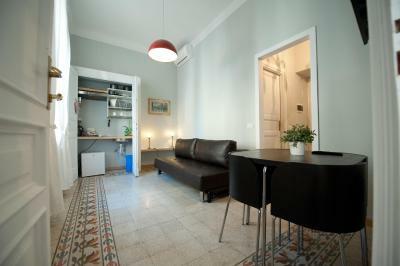 The location is great, specially for a wide choice of places to have breakfast and dinner at. 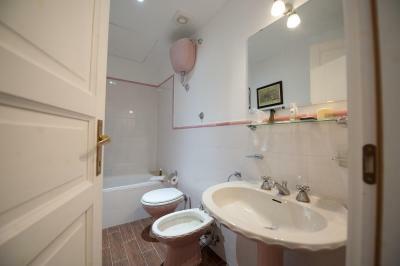 Short walk to the Vatican and walkable distance to the main attractions in town. No real need for public transport. Tea, instant coffee and water are provided with a kettle. Charming and comfortable. Very quiet but convenient area near center. 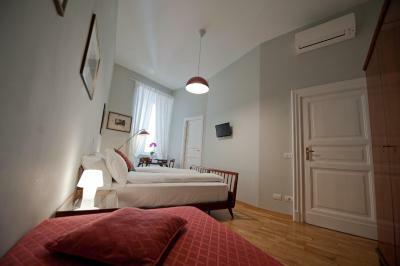 Set 500 feet from Castel Sant'Angelo in Prati, Cassiodoro19 offers free Wi-Fi, self-catering accommodations and rooms. 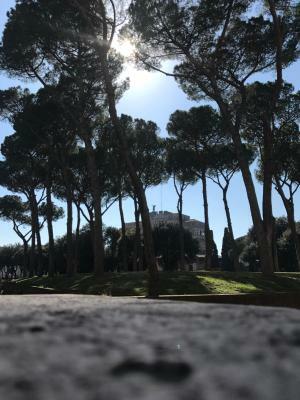 The Vatican City is 2,950 feet away. 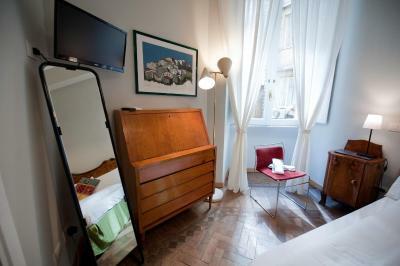 Fitted with a flat-screen TV and parquet floors, rooms and apartments at the Cassiodoro are air conditioned and have a private bathroom featuring a hairdryer and free toiletries. 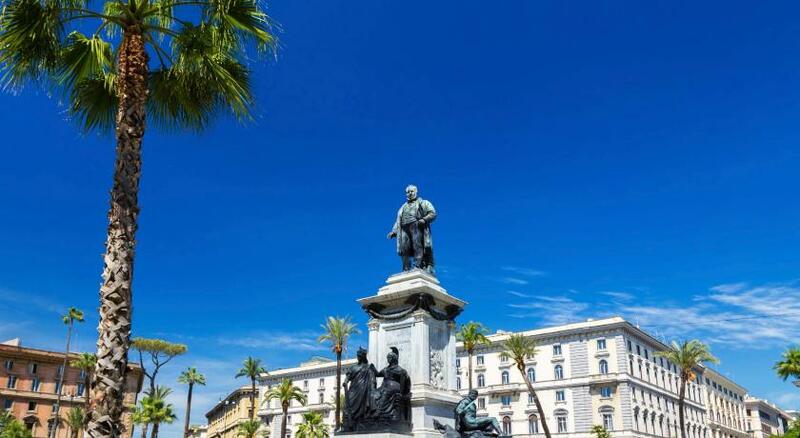 A bus stop with links to Leonardo da Vinci–Fiumicino Airport lies 1,000 feet away. 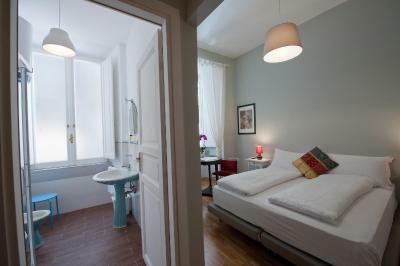 Ottaviano Metro Station is a 10-minute walk away. 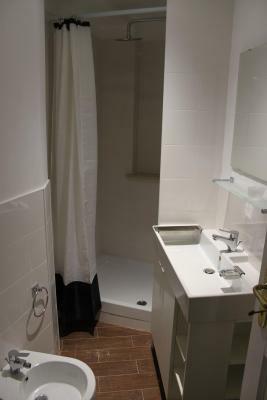 This property is well placed for shopping and eating out. 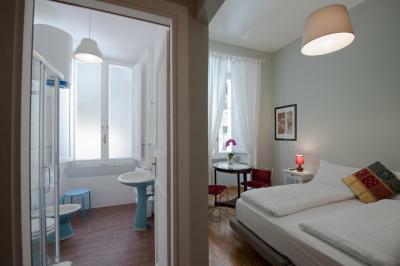 When would you like to stay at Cassiodoro19? 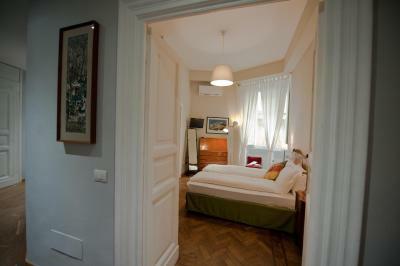 Air-conditioned room with a flat-screen TV. Please specify bed preference when booking. Safe, quiet and clean.....close to bus stop (sit bus shuttle) that brings you to and from all airports ( fiumicino and ciampino). 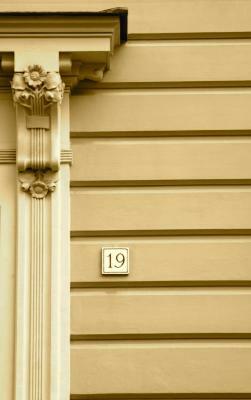 House Rules Cassiodoro19 takes special requests – add in the next step! Cassiodoro19 accepts these cards and reserves the right to temporarily hold an amount prior to arrival. Please note that the property does not have a reception, so check-in time must be agreed in advance. Check-in between 19:00 and 00:00 comes at an extra cost of EUR 10. Please inform Cassiodoro19 of your expected arrival time in advance. You can use the Special Requests box when booking, or contact the property directly using the contact details in your confirmation. 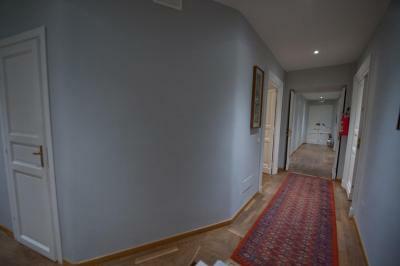 The property is very clean, in a perfect location for seeing the city, with several good restaurants nearby. Juan and Stefano are the most superb hosts you could wish for - so helpful and welcoming, nothing is too much. Would definitely stay again. 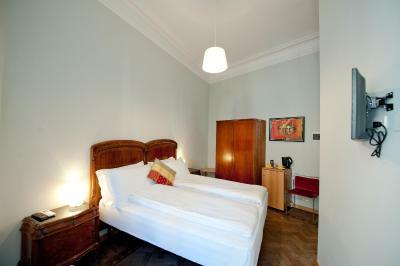 The room was very comfortable, with good beds and everything was very clean. The neighborhood is mostly residential and calm which is nice after a day filled with sightseeing. Beautiful wooden floors. The staff was very welcoming and attentive. We were glad we booked here! The location was also very convenient. We walked almost everywhere during our stay. The neighborhood had plenty of bars and restaurants if you don’t want to go far in the evening. The staff Juan and Stefano were amazing. The friendliest place I have ever stayed. It felt like a home from home. 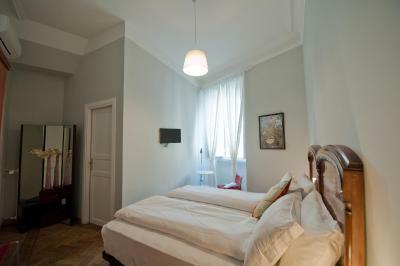 The location is fabulous with easy access to all the major tourist attractions. 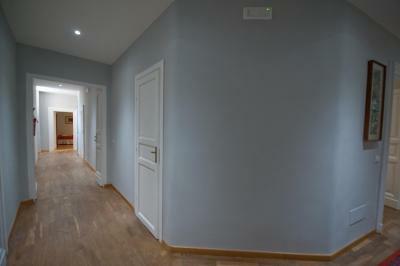 The rooms were clean and spacious. Thank you so much! Great stay! Comfortable, clean and very quite. Very nice host and cute Shila! Great room, really lovely friendly welcome with useful recommendations for the local area. Close to the Vatican and river. 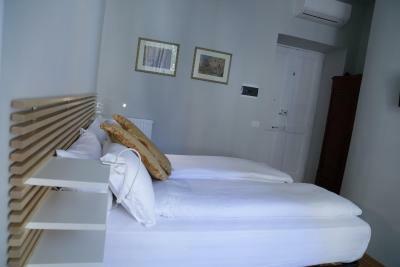 Nice big bed & big room with a fridge. Excellent value. Have just returned from 4 night stay. 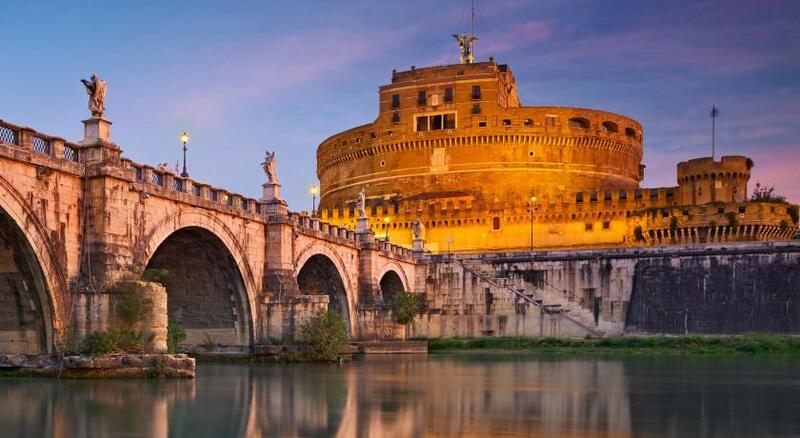 Great location from which to explore Rome. Friendly and helpful staff. 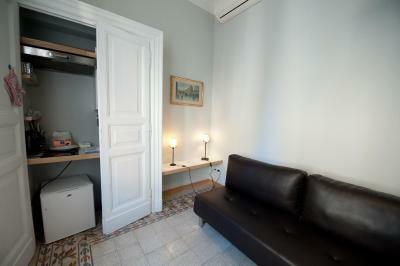 Basic accommodation but very clean and amazing price. 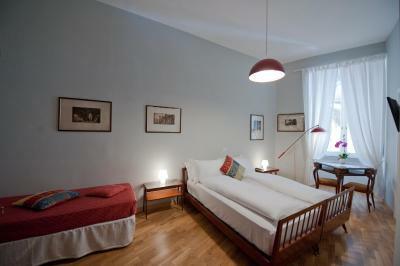 Really helpful staff, excellent location, clean and comfortable and good interent! Stefano (accompanied by his lovely dog), and Juan are very welcoming, friendly and very helpful. 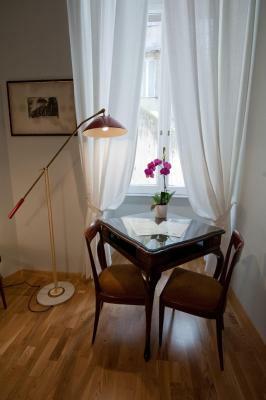 The location is perfect - safe, quiet and ideal for walking anywhere in Rome, with shops, restaurants and supermarkets nearby. The room was very clean and bed very comfortable. I would definitely stay there again. Location near Vatican and rail station and it was very quiet. The only thing I missed was possible an iron and an ironing board in the room which would've mattered if I was in town for a bit of work. I thought the booking process and the instructions were very clear. I also appreciated that someone was there to meet me at the appointed time and who took the time to orientate me with local information and recommendations. 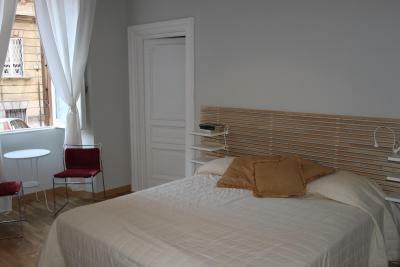 the room was clean and comfortable and actually very well located once I realised how the city is laid out.